Shopping for a vintage Rolex can be an intimidating task – frightening, even – given the number of fake and "Franken" watches lurking all around. We even showed you a bad one earlier this week. You've likely heard the advice “buy the seller” a million times before, and just as likely dismissed it. I wouldn't blame you, because in most cases a transaction doesn't scream shady business at first, leaving you to discover much later that your watch may not be as original as you were led to believe, hurting its collectibility, and thus its value. Therefore, this article aims to equip you with the key points that you should always check when hunting for your dream vintage Rolex. "Is the dial authentic?" is the million dollar question when looking at a vintage Rolex – quite literally, if you are actually considering some of the rarest Daytona chronographs. There is only one way to establish if a dial is authentic: very careful examination. And still I would add the disclaimer "don’t try this at home" in the case of very high value Rolex where fakers have mastered counterfeits – the priciest Daytonas again come to mind. Besides those specific cases, in most instances, a detailed examination of the logo and other text on the dial is sufficient. Comparing with pictures of similar models that you can find in books or other trusted sources (emphasis on "trusted," as it is not unheard of for unscrupulous "experts" to simply make things up, especially when they are also dealers) is a safe starting point: it comes down to analyzing the shape of the Rolex logo, assessing whether it is should be applied or printed, and studying the font of the main lines on the dial. This step should in most cases give you adequate information about the dial, and allow you to progress to examining other aspects of the watch. Another curse with vintage Rolex comes from the abundance of spare parts, also called "service parts." These are authentic, in that they were approved by Rolex and often fitted in watches as replacement parts. However, as this operation happened after the initial production, their presence generally decreases the overall value of the watch. So it is of paramount importance to verify that the dial is period correct with respect to the watch. For this task, this easiest way is to examine the lume on the dial – different types of luminous material were used at different times. In chronological order, radium was used until the early 1960s; tritium until the 1998; Luminova between 1998 and early 1999; and Super Luminova and Chromalight since then, and up to today (Rolex began using Chromalight in 2008). The lume material is also indicated at the bottom of the dial: SWISS for radium; T Swiss T or T Swiss T<25 for tritium; SWISS again for the transitional Luminova andSwiss Made since. So if you have a watch that historically should have a tritium dial but comes out with a Luminova dial, you just found a service dial, and the price should be adjusted downwards, in the event that you are still interested in the watch. Now that the dial has been (we hope) established as authentic and original, are you done with it? Not really, as you next want to make sure that it is in good condition. And here, words are a bit confusing, because a faded dial is not necessarily garbage: if the dial has faded to a uniform brown color, you are looking at a coveted "tropical" dial. Similarly, if the dial is cracked, collectors call it "spider," and some collectors actually hunt for them (though they are not uniformly desirable to all vintage Rolex collectors). So the key here is to spot undesirable and heterogeneous defects, such as a stain, a missing luminous dot, or a scratch on the dial. Similarly, the lume color of the dots on the dial should be compared to the patina of the hands: they need to match, or at least be reasonably close. If radically different, it is helpful to compare the respective luminosity of the dial and hands. For instance, replacement hands filled with Super Luminova would noticeably contrast with an inactive tritium dial. 6 OF 19 Same type of patina on dial and hands from vintage Rolex GMT Reference 1675. If all checks out, that's good news. One additional thing can be done about the dial: check whether it has some peculiar feature that could increase the overall value of the watch. Those special details would make this watch rarer among Rolex "standard" production, so missing lines of text, specific indexes, an additional luminous dot, or a double branding (watches produced for Tiffany, for instance) can justify a higher value for the watch; the seller is probably aware of it – but if not, you just got lucky. A look between the lugs of the watch will tell you a lot. First, between the top lugs, at 12 o’clock, you will find the reference number of the watch – most of the time, it will be a number with four to six digits, depending on the production of the watch. 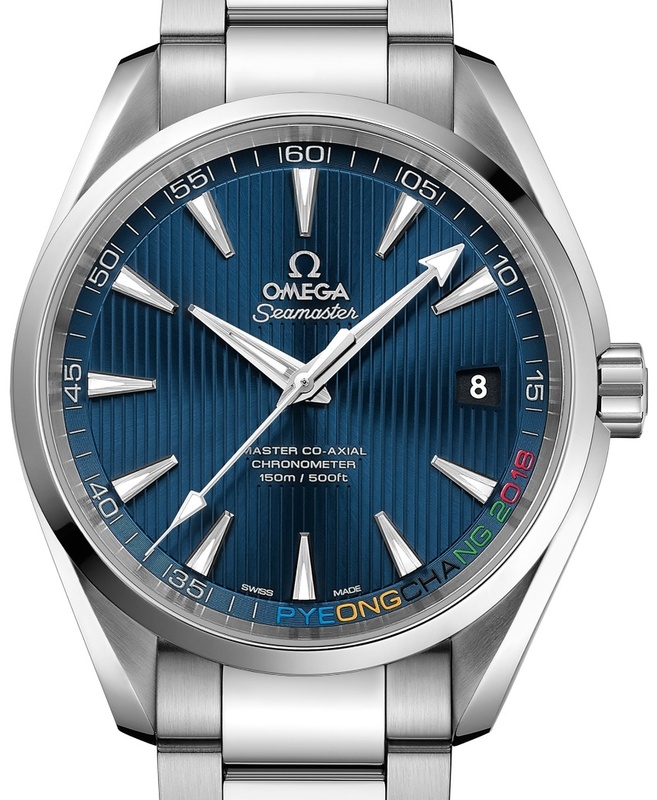 For instance, if you were to look at an Explorer 1, the reference number could be 6610 or 1016 – this increases to five digits with the reference 14270, and then, finally reaches six digits with the 36 mm 114270, which was eventually replaced by the 39 mm 214270. The same is true for the Submariner no date – with crown guards – from the original four-digit references like 5512/5513, to the current six-digit reference 114060. This reference number is incredibly important for comparison, as it will enable you to find other examples of the reference you're considering that can serve as visual benchmark. 9 OF 19 Reference number on the case of a vintage GMT Master. Similarly, between the lower lugs, at 6 o’clock, you will find the serial number of the watch, which tells you when the watch was produced – at least until 2010, when Rolex introduced random serial numbers. There is unfortunately no one definitive database generally available for checking a Rolex serial number, but there are a few online (such as this one, for instance) that can give you a rough idea of the production date, give or take a year or two. Having the serial number also enables you to check that the watch was not declared stolen; again, unfortunately no consolidated database exists but an online search can sometimes yield interesting results. One important thing: if the serial number begins with "44" you are very likely looking at a service case – again a strong value detractor for a vintage Rolex. 10 OF 19 Serial number on a vintage Rolex. The engravings on the inner side of the case back (obviously, the case back has to be unscrewed for you to see them) can confirm most of the information you gathered from the previous step. Here you'll find the reference number and the production year of the watch, albeit those might vary slightly from what's on the case. Sometimes you will see a slight difference between the two; this is okay as long as the references are substantially identical in build. For instance a Submariner No Date 5513 with a 5512 inside the case back doesn't mean the watch is incorrect; the only difference between those two watches came from the Chronometer Certificate for the latter. Similarly, the dates don’t have to overlap perfectly, as some parts were put on the side during the manufacturing process and would only be fitted a couple of months later, with a newly produced case. I would nonetheless consider any discrepancy over one year or so as suspicious, at least for the most successful models, which obviously could boast of a high degree of rotation in the inventory of the ADs. Of course, being able to read the engravings on the inside of the case back implies that the watch wasproperly opened by the seller; in that case the movement will also be a precious indicator, from the shape of the rotor to the engravings on the main plate and the bridges. 12 OF 19 Rolex Triplock crown from a vintage Daytona above, Twinlock crown from an Explorer below. The crown – another essential component for guaranteeing water resistance – should also be very closely examined. First, it has to be an authentic Rolex part. 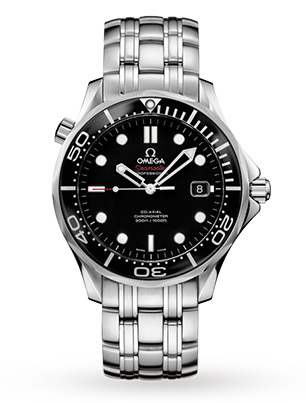 Under the crown, you should see either the words "brevet" (patented, in French) or the Twinlock or Triplock symbols, respectively a line, or a trio of dots for stainless steel watches, as pictured below. You should also check whether or not an original, correct Twinlock crown was not later replaced with a Triplock crown, which guarantees a higher water resistance but constitutes an obvious replacement with esthetic impact: the Triplock is larger than the Twinlock and would barely fit between the crown guards of an early Submariner. Bear in mind also that Rolex routinely replaced Twinlock crowns with Triplock crowns, so depending on what you're looking at and how you're planning on using the watch, a Triplock crown on a watch that was born with a Twinlock isn't necessarily a problem. If it's a very high value vintage Sub, of course you'll want the original crown to be present, but if it's a more run-of-the-mill model, and you want it to be reasonably water resistant, a Triplock crown isn't a deal breaker. In my opinion, the bracelet is one of the most under-appreciated sources of information for vintage Rolex, provided it remained attached to the watch head, obviously. You can find the bracelet's reference number on the first link near the top lugs. This will not only tell you whether you are dealing with an Oyster, a President, or a Jubilee bracelet, but will also give a rough estimate of the production years that you can then compare with the date or date code (engraved on the clasp since the early 1950s). To take the example of a vintage Oyster bracelet, a reference 7206 describes a rivet construction from the 1950-1960s, fitting a watch with 20 mm lug-size, while a reference 7205 would be relevant for a 19 mm lug-size. Note that some bracelets were also locally produced, such as the C&I marked bracelets for the U.S., which gives a clue about geographical origins, which can be checked against any paper trail you might have. Additionally, each of the end links has a reference number engraved on its external side, which allows you to verify that those were actually made for this specific Rolex model. A good example here comes with the very valuable end links for vintage Daytonas, all ending with the two digits 71. If the reference number finishes differently you just discovered a $1,000+ issue. While the two previous sections focused on specific watch parts, it's also important to step back and take a look at the watch as a whole, and any and all included paperwork. And you absolutely, positively have to be completely sure – or at least as sure as you reasonably can be – that the seller is trustworthy. Looking beyond the watch as a sum of correct parts allows you to further assess the fairness – and the risk – of a potential transaction. Are box and papers a definite proof of authenticity? I can provide an immediate answer: absolutely not. Getting box and papers is obviously a nice add-on that can significantly increase the value of the watch, as well as helping to trace back its history. That said, vintage boxes and blank papers can be purchased a lot of places — including eBay — at any time, so it is as easy as it is lucrative for an unscrupulous seller to put a complete set together. So be on the lookout for inconsistencies: finding a vintage watch with a modern box being an obvious red flag, as are non-matching serial numbers between the case and the papers. These things are easy to spot but you have to know enough to look for them, and not let eagerness to buy tempt you into skipping steps. Also consider that many warranty papers were hand-written for a long period of time, and astute collectors should know that while these papers aren't meaningless, by themselves they don't add considerable value to a watch. If they come with several additional documents that support the certificate and provenance, then there is real value there. When asked about the three most important criteria for evaluating a vintage watch, experts often reply: "Condition, condition, and condition." It should come as no surprise, then, that many terms are used by sellers in an attempt to not just describe a watch, but to impress potential buyers with supposedly exceptional preservation. "NOS" (new old stock) "mint" and "unpolished" are the most popular qualifiers, with a lot of abuse in most cases. Knowing that, in fact, cases are routinely polished when a watch comes in for service should make you suspicious of the significant number of "unpolished" Rolexes around. In fact, many thought leaders now scoff at any seller using the term – and over at the Vintage Rolex Forum, it is actually a forbidden term in the marketplace. The term "unpolished" is grossly overused, and should always be called into question. In fact, it is even banned from use in the Vintage Rolex Forum marketplace because it is so misleading, and almost always impossible to substantiate. And this is where the ubiquitous advice "buy the seller" comes into play. I would always favor a good source – a reputable dealer or an established collector – over one less-well known. Miracles happen, but the first two type of individuals are the most likely to have the best pieces, and stand by them if anything happens. Checking someone's reputation can take on various forms – surfing on forums, identifying previous trades, or even asking the seller directly for references. And of course if you get references from a seller you have to actually check them! There is a last item to consider, although it is not an exact science: the impression a seller gives in his dealings with you. Always ask for clarification or additional details, in order to establish contact with the seller. Do not purchase a watch on the basis of a single Instagram picture that could mask some defects discussed above, or even worse, be a photo of a watch owned by someone else. The quality of the answers and pictures provided are often an excellent indicator of whether you should move forward with a given seller. If they have nothing to hide, they'll be happy to help. However, always be respectful of who you are dealing with, and realize that they too have many potential partners with which to work, and if you do not treat them well, they can move along to someone else just as easily as you can. By now, this article may have made you a little paranoid about vintage Rolex – and that's a good thing. Paranoia is unfortunately a required mindset when looking for vintage Rolex, if you want something that's both original and in top condition. The three rules provided here – focus on the dial, draw information from the other parts, and review the parameters of the deal – are basic, almost common sense. Yet, with the Rolex-specific telltales provided they constitute a solid ground for your next quest. Finally, bear in mind that this is a general introduction to getting into vintage Rolex – for specific references you have to dive more deeply. Additional knowledge is absolutely required here, and it can be found indedicated books, on some of HODINKEE’s articles, and – more broadly – within the collectors’ community. Happy hunting! 19 OF 19 A perfect luminous dot on the dial of a vintage Rolex Daytona.